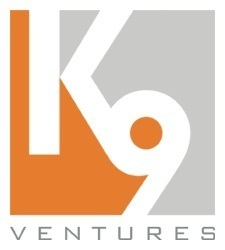 K9 Ventures is a technology focused micro-VC fund based in Palo Alto, California. We believe that extraordinary things are possible when great teams come together around technology. We primarily invest at the seed stage, when the founding team is established and building the product, but we sometimes invest even earlier. Our initial investments are typically between $250K and $750K, with an ideal of $400K. Most of our investments are syndicated with other funds, superangels or angel investors. We prefer to lead investment rounds, and when we do, K9 will take a board seat and actively work with the founder(s) to build the company. To provide sufficient attention to each portfolio company, K9 only invests in 4-6 companies per year. To learn more, please see our investment criteria. K9 Ventures was featured in a VatorNews article: "Meet Manu Kumar, Chief Firestarter at K9 Ventures"
Manu Kumar confirmed LocoMotive Labs as an investment. Manu Kumar confirmed KidAdmit, Inc. as an investment. Manu Kumar confirmed eShares, Inc. as an investment.